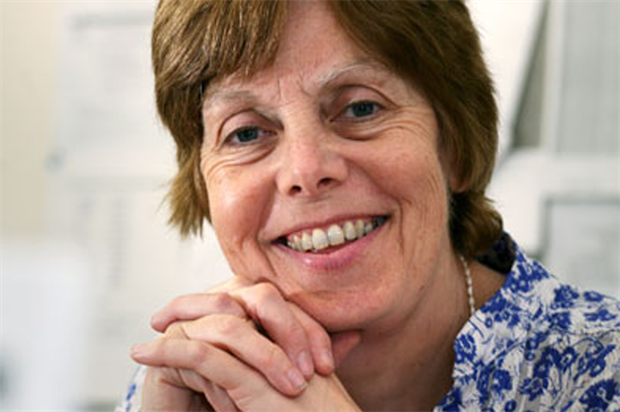 It is time to put your practice through a rigorous rules review, advises Professor Ruth Chambers. This summer saw the publication of the CMO for England Sir Liam Donaldson's 'Medical Revalidation - Principles and Next Steps'. With the tightening of professional regulation of all doctors and relicensing/recertification of GPs now on the horizon for 2009 onwards, this is the time to refresh the clinical governance framework in your practice. Your primary care organisation (PCO) will also be looking at clinical governance, gearing up for its part in relicensing the doctors on the performers' list. As the PCO builds up information about individual doctors' performance, the likelihood is that more concerns about doctors' conduct and performance will be generated. If you can show you and your practice provide consistently high quality primary care services, you can leave the worrying about revalidation to other GPs - you should sail through. You could embrace one or more of the initiatives under 'Building momentum', see right, to help improve quality in your practice. While revalidation is about affirming that you as an individual doctor are fit to practise, working in a well-organised practice environment where standards of best practice are the norm will enable you to easily gather evidence of your own good performance. If you trust the process you will feel confident about acknowledging any gaps in your knowledge and skills and openly addressing them. Also your practice team will learn lessons from any patient complaint and minimise the chance of adverse events recurring. The emphasis on quality improvement at all practices is coming from several directions as well as the national momentum around professional regulation. These include competition from private providers and bids for Darzi practices that are angled at raising quality standards. Then there is the RCGP pilot to accredit primary care provider practices. This is setting criteria for practices to attain in tackling health inequalities and health promotion; provider management; premises, records, equipment and medicines management; provider teams; learning organisation; and patient experience/involvement. At present the criteria, standards and evidence for GP recertification are being updated to match the revised 'Good Medical Practice for GPs' recently published by the RCGP/GPC. Across the UK there are PCOs evolving strategies that set higher standards than the quality framework with incentives to encourage take up. We can also expect possible future inspection of practices when the Care Quality Commission is established next year. Clinical governance is central to your practice team's ability to continuous improving the quality of services and to safeguarding high standards of care. Investing in clinical governance is about focusing clinical services on continuous quality improvement; patient safety; risk reduction and, without detriment to the other three components, minimising costs. You should be able to use the dimensions below to review the state of clinical governance in your practice. GPs can buy 'Revalidation: prepare now and get it right' by R Chambers, G Wakley and P Bright published by Radcliffe Publishing for £14.96 (25 per cent discount) plus p&p by calling 01235 528820 and quoting GP Discount. Or, if buying online at www.radcliffe-oxford.com, key in GP Discount when prompted to pay. Professional codes of conduct respected. Resources sufficient to provide best clinical practice. Access and availability suitable for patient population. Patient confidentiality processes in place. Good, clearly identified, robust clinical leadership. Good communications with primary care organisations. Good relationship with linked professionals and local community. Practice staff competent in their roles; and trained for new tasks proactively. Regular appraisal and personal development planning. Multisource feedback by colleagues - with facilitated reflection/personal change guidance. Statutory and mandatory training in place for all staff; and is monitored for compliance. Public notices; email/website; telephone reception; leaflets. Patient surveys undertaken; suggestions from patients collated. Patient participation group operates in meaningful way. Staff have good interaction skills. Translation services available/used; good patient literature in common languages of patient population available. Complaints policy in place and regularly monitored for patterns/trends and effectiveness. Evidence-based practice provided for individual patients - audits demonstrate adherence. Individual professionals adhere to best practice (as in local or practice protocols). Clinical audit activity demonstrates outcomes of clinical care. These are monitored, acted on and evaluated for impact. Policies in place and adherence monitored for: infection control, child protection; health and safety; lone working; chaperons. All incidents assessed for cause; action agreed to remedy or minimise risk of future occurrence. Significant adverse event or critical incident analysis with regular-timed meetings; and with at least three professionals/staff present.